Not only do you inherit some of your ancestor’s physical characteristics but also some of their unhealed psychological, emotional and in some cases even physical wounds. These can manifest as troubling behaviors and feelings that are embedded in your genetic coding, the result of a trauma suffered by someone in your lineage. It’s been demonstrated that children and grandchildren of Holocaust survivors and war veterans can exhibit similar patterns of PTSD (Post-Traumatic Stress Disorder) that these ancestors suffered. The relatively new science of epigenetics has demonstrated that your genetic coding can be influenced and altered by experiences that happened to your ancestors. Good news is we have a number of ways you can alter this genetic coding to such an extent that the generations to come no longer have to reenact the debilitating symptoms of PTSD, such as depression, anxiety, phobias, exaggerated startle response, insomnia, and psychic and physical numbness. In this workshop you’ll experience processes that can help heal those wounds, in yourself and reciprocally in your ancestors. With the support and assistance of your spirit guides, particularly the Ancient Ones, Dr. Farmer will guide you in gentle and powerful processes for healing your ancestral karma. You’ll learn the difference between bloodline, territorial, and spiritual ancestors, discover the “training” one receives after death, and work with ancestral Elders. Has your family gone through the same trials and tribulations generation after generation? Do you feel fated to continue that trend? If so, it's possible you've inherited the karma of your family members. The good news is that you can break the cycle. 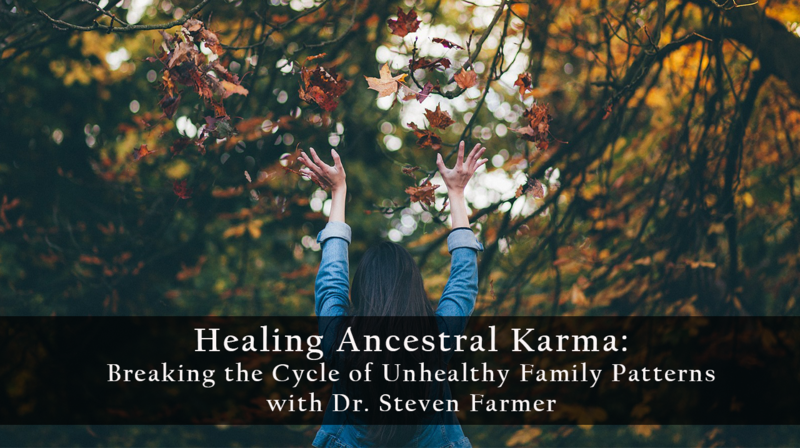 Renowned author, soul healer, and shamanic practitioner Dr. Steven Farmer shows you how to not only free yourself from negative cycles of the past but also access the ancient wisdom of your ancestors. - Make contact with your ancestors. - Heal hereditary traits and characteristics that have compromised your physical, emotional and mental health. - Incorporate your ancestors' wisdom into your spiritual path. - Clear karmic baggage so your descendants inherit only positive karma. Imagine how different life could be if you had access to the wisdom of all those who've come before you. 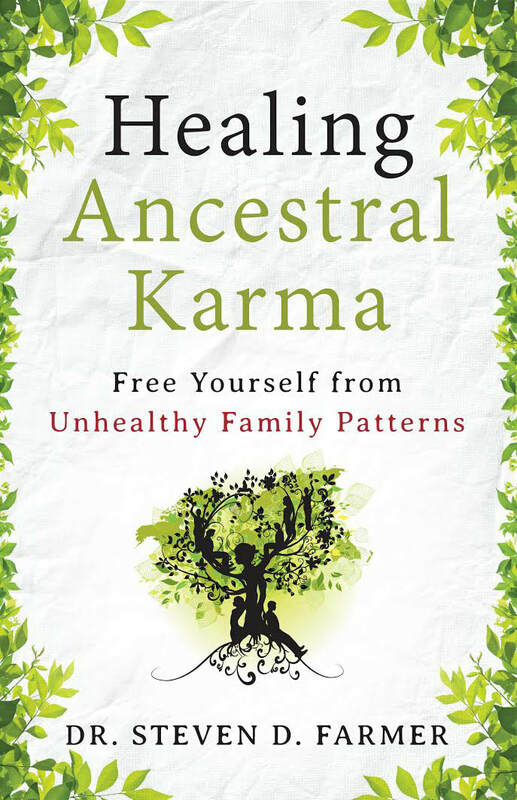 Healing Ancestral Karma shows you how. No matter what your current spiritual philosophy or practice, you can have a relationship with your ancestors and gain guidance, knowledge and healing. When the Frenchman Alexis de Tocqueville, author of Democracy in America, visited the United States in the 1830s, he warned, "as individualism grows, people forget their ancestors and form the habit of thinking of themselves in isolation and imagine their whole destiny is in their hands." Not only in the United States, but also in much of Western culture, while we accept that we have inherited certain characteristics from our ancestors, we tend to ignore how they continue to affect our lives today. There are two important factors at work as to why this is so: the enduring cultural belief in individualism and a tendency to focus on the present and the future without considering the daily impact of our ancestors, let alone the beneficial purpose of consciously acknowledging and honoring those who have come before us. Not only do we carry our ancestors' imprint on our DNA and our soul, but, as you'll see, our ancestors can also be an active influence in our daily life. It requires just a slight shift in perspective and a willingness to consider that our forebears can and do affect our lives today in many more ways than we might imagine. When you open yourself to your ancestors' influence, you'll find that they can teach you, guide you, protect you, and help you heal. They encourage without necessarily letting their influence be known, they listen to us and hear our call, and they deeply and empathically understand us. Once someone has crossed over he retains soul memories of what it was like to be human, with all its joys, heartaches, pleasures, and disappointments--just from a much greater spiritual perspective. You'll also see not only how your ancestors help you, but how you can in turn help them. In an ancestor's transition into the world of spirit she can still carry remnants of unhealed emotional, mental, and physical wounds borne in her lifetime. You can help heal the echoes of these wounds in your ancestors' souls so they can continue their evolution in the afterlife without these burdens. As you do so, you'll discover how this can positively impact not only you but also your descendants, so that subsequent generations never have to carry these dysfunctional family patterns. You'll find that your willingness to heal will also assist your ancestors in moving more easily and quickly through their spiritual evolution in the afterlife and further release any ancestral karma they carry. The word karma is Sanskrit and means "act" or "deed." In Hinduism and Buddhism, it has come to mean any action that brings you good or bad results, either in this lifetime or in a reincarnation. It has also come to mean "fate" or "destiny." In this context, ancestral karma means those physical, emotional, behavioral, and mental traits and characteristics, life positive and life negative, which you have inherited from your forebears and carry in your DNA and your soul. Ancestral karma is not something that is permanently ingrained; with conscientious effort it can be modified and healed. It only requires you to be proactive and intentional in your efforts to heal. A Course in Miracles tells us "When I am healed I am not healed alone" (Lesson 137). And as you'll see, when you heal yourself through the methods described here, this healing goes forward to your descendants and backward to your ancestors. Ancient and contemporary shamanic and indigenous cultures as well as many other modern cultures naturally incorporate their ancestors in their spiritual practices and beliefs. Herein you'll find examples of how different cultures relate to their ancestors and how they are conscientiously considered and intertwined in their daily lives. From these examples I trust you'll find how deepening your relationship with your ancestors will enrich your life and how you can benefit from your ancestors' wisdom and guidance. The long-standing recognition that ancestors should be honored and treated as a spiritual force in the lives of the living was subverted by religious doctrine. Ancestor veneration (as well as other longstanding traditions that we ironically label "new age") flew in the face of the tenet that anything but direct communication with God was blasphemous or the work of the devil. To do otherwise was also considered uncivilized, the domain of more "primitive" people. So in our Western culture the idea of ancestors as a living and immediate spiritual force in our day-to-day lives has faded into obscurity. It is more important than ever--vital, even--that we awaken to and develop the relationship with our ancestors in this present era. At this time in our evolution we are being called to open our eyes, minds, and hearts in order to more deeply appreciate and connect with the life force that animates this physical world, to experience directly our intimate connection to all beings, both visible and non visible. We're being prompted to revise our relationship with the natural world and to release attitudes and behaviors that no longer serve our soul's purpose or benefit the larger global community of humans, animals, and plants--all of our Earth Mother's children. about their descendants. We must nurture and consider the children of the coming generations who will be the stewards of this return to balance. Our ancestors want to help. We only need to pay them their due attention and receive their help. Simple. And as you'll see, it's not that difficult to do. Dr. Farmer's education includes a B.A. in psychology from the University of California, an M.A. in Counseling Psychology from Chapman University, and a Ph.D. from Madison University. 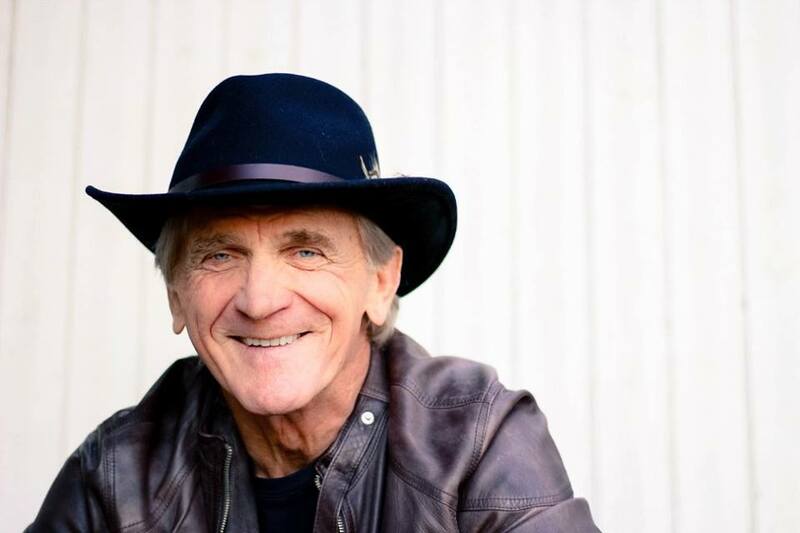 He is passionate about his work, and enjoys hobbies such as singing and songwriting, camping, hiking, kayaking, and skiing. He makes his home in Dana Point, California with his wife Jesseca and stepdaughters Serena and Arianna.